The Valley of the Kings (Waipio Valley) welcomes you! 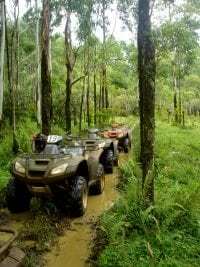 Explore the serene vistas of this valley by guided ATV tours. Inhabited by 50 generations of Hawaiians for over a thousand years, Waipio Valley is “old hawaii” – a place time forgot. The 3-hour tours pass through eucalyptus and ginger forests towards former sacred royal lands. The scenery is breathtaking, the panoramic views unimaginably gandiose. Swim in the headwaters of Hiilawe, see the back side of the Parker Ranch lands, go to the top of Waipio Valley, be one of the few … Light refreshments provided.